Education businesses are constantly creating new records and storing new data, in the past few years we have created more data than ever before. However, a challenge most education business administrators are facing nowadays is being able to manage business records efficiently, maintaining these records up-to-date and being able to turn this data into opportunities. We can thank technology for allowing us to create and store all this data, it certainly is beneficial to business operations to have more information. But if you are comparing management software options, how can you make sure that software you choose will allow you to get the most of your data? 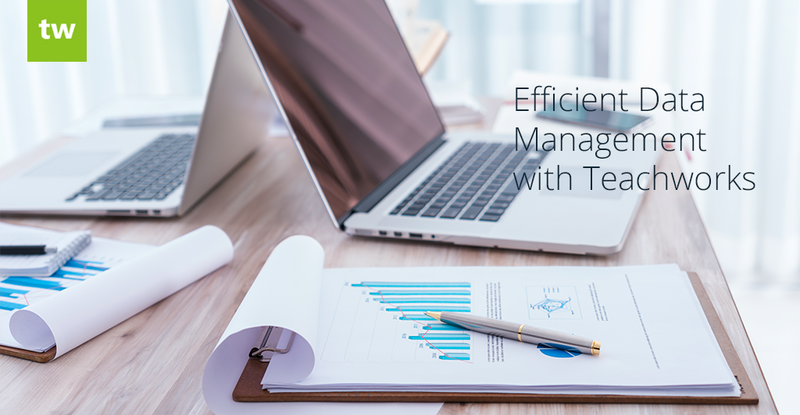 Let’s take a look at the most efficient ways to manage your customer records and business analytics using Teachworks and other software providers. Adding and maintaining your business records should be easy, this is particularly important for companies who are planning for growth. When you are starting out, it might be easy to keep on top of updates manually, but as your business grows you will need a robust management system that will allow you to mass update records efficiently. Maintaining up-to-date records is very important, especially when it comes to client profiles. For example, if you need to update the “Billing Method” for 10 clients, it is easy enough to do manually by going into each client profile. However, what if you need to change the “Billing Method” for 1000 of your clients? Doing this manually could certainly take hours. When comparing Teachworks to other software, make sure to compare the features that allow you to mass update and create records. 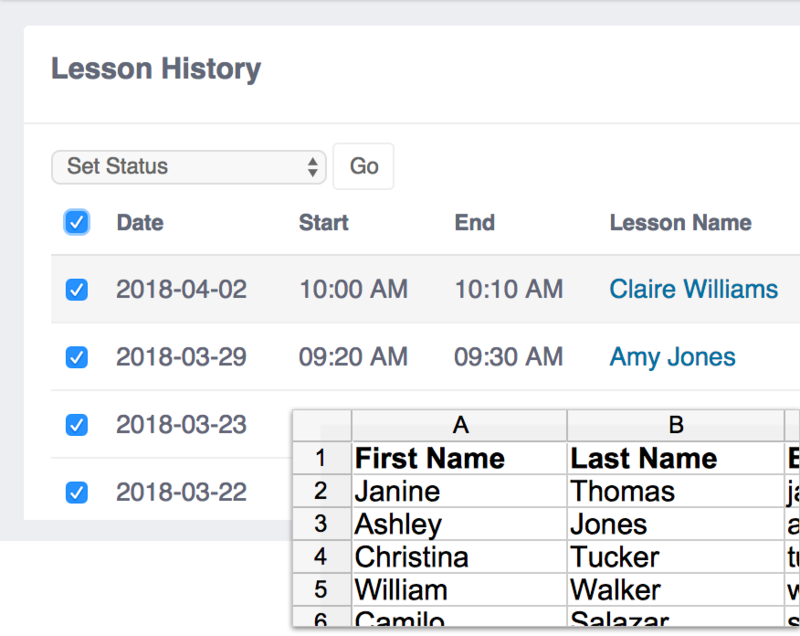 Teachworks’ has an easy interface for creating and updating records across the system, anything from approving and sending invoices to changing the lesson status can be done in bulk to help you save time. Features to mass import and mass update records save you hundreds of hours of work and help you keep your records up-to-date at all times. For example, with a mass importing feature, to update your client’s billing method, you can download your customer list to excel, make the necessary changes on the excel file and then upload to Teachworks – without going to each of your clients profile. Whether you need to update 10 or 1000 records, it can be done in seconds. With the growing concern regarding the safety of personal information, this is a very important factor when comparing Teachworks to other software alternatives. You need to make sure the information you collect will be secure at all times. The software you choose needs to have a privacy statement that clearly states how the information is protected and what actions are to be taken in case of an issue. At Teachworks, we take the security of your data very seriously. Our data is hosted on Amazon Web Services’ (AWS) industry-leading data centers. AWS places the same high emphasis on data security which you can read more about here: AWS Data Centers. Continuous Backups: As data is written to the main database, it is copied in real time to a replica database. In the event of a problem with the main database, the replica is promoted so that no data loss occurs and you can continue using the software with little disruption. Periodic Backups: Copies of the database are created every 6 hours as an additional form of protection and saved in an offsite location. Encrypted & Password Protection: All connections are encrypted with SSL and access to all data is password protected to ensure that data is only accessible to the right people. As you operate your business you create new data as you schedule lessons, create invoices, process payments and so on. This data has the potential to provide you with valuable insights into your business operations and the health of your business, so it’s important that your software gives you the ability to analyze these records to help you make good business decisions. For example, the ability to easily see how many hours were scheduled from month-to-month and to break this down categories such as service, location, teacher, etc. can be valuable in identifying opportunities and potential problems. 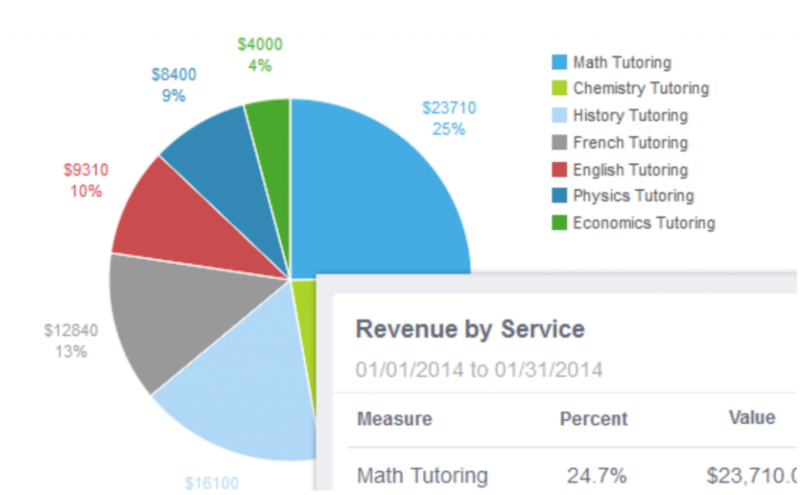 In Teachworks, there are several highly-customizable reports that provide insight into your business. These reports include Breakdown report, Lesson Summaries Report, Time Series Reports, Last Lesson Report. The dashboard also provides you with a snapshot of the key performance indicators for your business with easy to read charts and tables so you are always up-to-date with any changes in your business operation. In today’s world, your ability to manage data efficiently and securely is an important part of building a successful business. With data constantly being created it is important to take advantage of the technology available to make these processes easier to reduce your workload and help you make better business decisions. A management software program such as Teachworks can help you maintain all your records, keep them well-organized and up-to-date accessible from anywhere. It will also allow you to create personalized reports so you can quickly recognize the aspects of your business that represent opportunities for growth and improvements.